Small high-top table in bar area opposite DJ. Large high-top table in bar area opposite DJ. Sofa and table in area opposite DJ. Large booth near dance floor on side opposite DJ. Large central booth on dance floor on side opposite DJ. Large booth on dance floor on same side as DJ. Owners Table - best booth in house next to DJ. 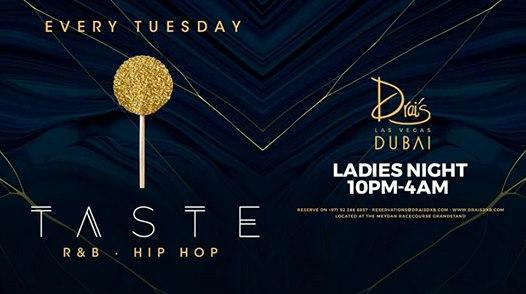 Dubai's latest #HipHop & #RnB #LadiesNight - Every Tuesday from 10PM till 4AM. 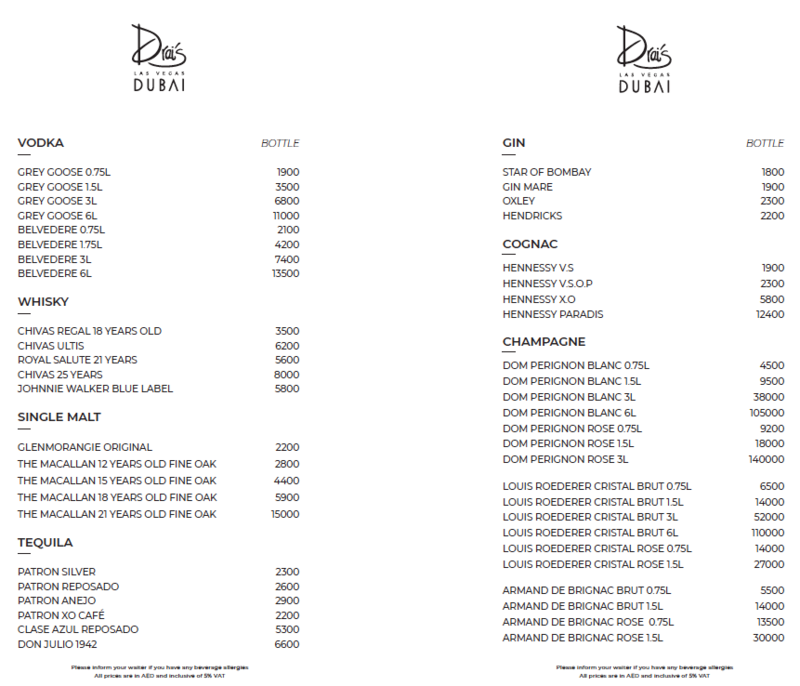 Complimentary drinks for ladies all night, complimentary Shisha & chef’s food selection till 12:00AM. 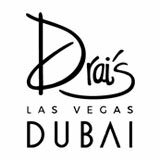 Men entry fee: 200 AED (includes 2 drink vouchers).